The exaggerated shoulders trend of the 80’s is back and it can work wonders for your body shape. Here is how to make this trend work for you in a modern and contemporary way. 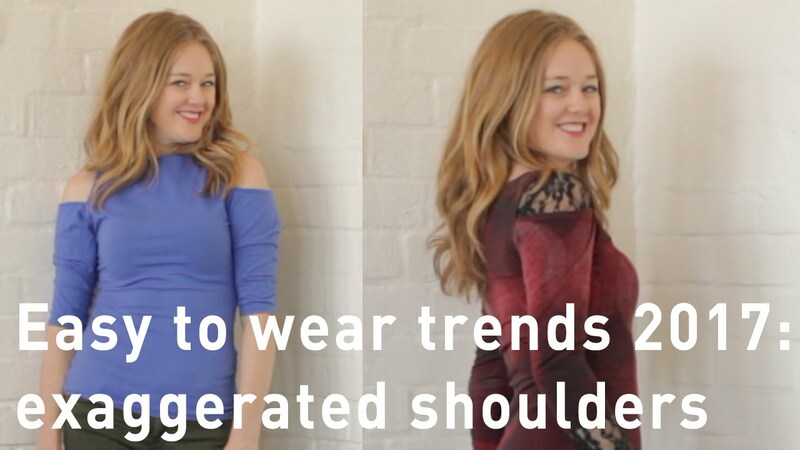 Emphasizing or exaggerating your shoulders can be a great way of balancing out your shape, especially if you are bigger on the bottom than the top or it’s a way of showing off the shoulders that you love. Make use of puffed sleeves, small shoulder pads, cut out or off the shoulders tops to make this magic trick work. This works to broadens your shoulders, which balances the width of your hips and bums. Wear it in spring/summer by opting for cut out shoulder tops or anything with shoulder detail or in fall/winter layer a cut out shoulder with a lace body stocking or wear a slight puffed sleeve jacket or a jacket with a shoulder pad for extra volume.